Time for a change? What if you could get the benefits of a team (leads, training, culture, support) without the high split and fees? Read on to find out what we’re about. We’re always looking for awesome people. If you couldn’t guess from our name, we’re here to help our clients Love where they LivTM, and to help our agents love where they work (and on some occasions to Liv it upTM!). Why Work for Liv Real Estate®? Make more money - better gross commission because you’re doing more deals. Keep more money - more included tools and support than most teams, at a lower cost. Do what you love to do - build relationships and sell homes (we take care of the rest). Contact our broker, Sheldon Johnston by text at 780-441-5576 or email sheldon@livrealestate.ca to find out more. We know how to generate high-quality leads (our websites get over 4 million page views per month) and we know how to turn them into clients for life. Our Client Care Manager responds to inquiries and matches potential clients with the best agent to meet their needs (website registrations are not considered leads, only requests for information, showings or evaluations are passed onto agents). She assists our clients in having the best possible experience from their first point of contact with us. We’re not a revolving door for agents, nor should an agent be a revolving door for clients. Once you complete a transaction with a lead, they’re your client, for life (we don’t charge a fee every time you do business with a lead we provided). Your success is dependent on your ability to create relationships with people, and become their trusted advisor, and we want to help you do that. With brokerage wide training (both from the leadership team and outside trainers), smaller group workshops, and one-on-one coaching and business planning, we’ll help you grow to be the agent you want to be. We’ve created a unique brand that resonates with consumers in Alberta. With over 300,000 website visitors a month, we’re reaching consumers when they’re interested in real estate, not when they’re driving home, or watching sports. Our beautiful buyer guides and hardcover Liv BooksTM are personalized for each agent and demonstrate our expertise and amazing marketing. 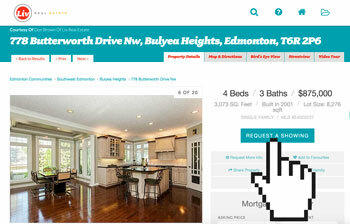 A simple, branded, online tool allows agents to create beautiful, affordable personal promotion materials. Our moving concierge takes the stress out of moving for our clients and strengthens their relationship with our agents. Liv AssociatesTM also get the benefit of working with Sara MacLennan, our Marketing Director. Sara has a wealth of knowledge and experience in online marketing. She is the former Director of Marketing for Coldwell Banker Canada and has worked in marketing and project management roles at a number of “dot-coms” and larger companies including Rogers Communications. Sara teaches our associates about marketing and technology and sets them up with the most effective solutions, so they can focus on their clients. 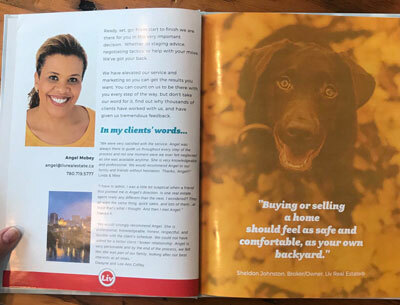 She is specifically sought out by Industry leaders for high-level advice and is behind countless innovations that have led Liv Real Estate® to be a trailblazer in our Industry. With top ratings on Google and Facebook, consumers feel confident they will be treated right at Liv Real Estate®. We’ve been helping our agents collect and share amazing reviews for years, and we’d love to help you too! Just google one of our agents, you’ll find their rating right in the search results (just a little example of the Google magic we’ve worked over the years). Our broker, Sheldon Johnston, winner of the REALTORS® Association of Edmonton Broker Leadership Award for 2015, has over 25 years industry experience including serving as a RECA Council Member, a REIX Advisory Board Member, and an RAE Board Director. Sheldon’s the guy many other brokers turn to when they’re not sure how to handle a situation. His hands-on training methods have helped many agents go from moderate productivity to high-level performance. His ongoing coaching and personalized mentorship with each agent is based on his own extensive experience and consistent personal success and translates into more confident, higher producing agents across the board. When we recognize our agents with awards, it is for excellence in service, not sales. There are no leaderboards or loser clubs at Liv Real Estate®, but we do love to share stories from satisfied clients. Our awards program recognizes Excellent Customer Service, Team Building, Leadership and Community Service. Each Liv Real Estate® Associate has a Bio page on our website, where potential clients can get to know them; these bio pages also include third-party verified customer satisfaction ratings and testimonials. We believe you ARE what you measure, and measuring customer satisfaction leads to happy, returning clients. Liv AssociatesTM are paperless and mobile, so when they do come to the office it is to meet with clients, to learn, or to socialize. That’s why you won’t find any bullpens, cubicles, agent offices or vast empty spaces at our Liv OfficeTM. Our office has meeting rooms, training space, a huge kitchen and a social area with a pool table, wine bar, and even a BBQ. Are you interested in doing Real Estate a better way? If you want to provide the kind of exceptional insight and service to your clients that we demand – then let's talk and take it from there. Contact Liv Real Estate® - all enquiries will be kept strictly confidential.